My previous post about AMP lead to a ton of questions and rightfully so. We’ve been testing, developing and working hard in general on understanding what needs to be done to get AMP working without too many errors. This post is an update on where we stand right now, introduces an updated Yoast SEO AMP Glue plugin with new features and gives some more background on the why and what of it all. The WordPress AMP plugin provides the base AMP functionality. In my previous post, I recommended Pagefrog to add styling and tracking to your AMP pages. While it is a nice plugin, it caused more issues for us than it solved. The plugin adds a preview on every post edit screen. This preview is unneeded, and there is no way to disable it, and it caused browser crashes in our backend. The Yoast SEO AMP Glue plugin also lets you put in CSS manually and some extra tags in the head section. These options allow us, for instance, to have our preferred weight of our Open Sans font available and make the styling fit our brand a bit more. You can also enable AMP for custom post types on the post types tab. The only post type that doesn’t work yet is pages, as support for that is being added to the main AMP plugin. I realize the error line in the graph above is not exactly convincing of our quality yet. The drop in errors we saw made clear that we were doing some things right. Now we have about a thousand posts on this blog, and almost a hundred on our development blog. So it’s clear that not all of our content is indexed as AMP yet, and not all of our AMP content is working nicely. You can put any AMP URL into “debug mode” by adding #development=1 to the end of the AMP URL. If you then look in your browser’s console – you might have to reload the page – you’ll see the AMP validation warnings. These are the same warnings that Google shows in Google Search Console. There are quite a few different types of errors and the Google search console report groups them for you. The biggest source of our issues were Schema.org article errors. These errors are caused by one simple issue: many our posts, especially the older ones, don’t have a featured image. The WordPress AMP plugin then simply outputs Schema.org JSON+LD tags without that image, causing those errors. The fix is simple: we now have a “default image” field in the design tab of our Yoast SEO AMP Glue plugins settings. When a post has no featured image, we now use that default image. Adding this default image solved half of our errors. The JSON+LD output also requires a site logo. While this is not an error we ourselves had, many reported this issue. The AMP plugin uses the logo set as your site icon in the Customizer, and omits it if you don’t have one set. We now let you upload a logo on the design tab of the Yoast SEO AMP Glue plugin too, if you want to use a different one. To test whether you will be getting Schema.org errors, run your AMP URLs through the Google Structured Data Testing Tool. The output from that tool tells you which data is missing. Part of what we’re doing with the AMP WordPress plugin and the Yoast SEO AMP glue plugin is “fixing” content that exists in your database to work with AMP. WordPress stores the posts on your site as HTML in your database. The HTML of those posts does not necessarily to conform to what AMP HTML requires. For this purpose, the AMP plugin has a set of so-called “sanitizers”. These are filters, run over your content, that remove tags and attributes on tags that aren’t allowed. They even remove some attributes when their values aren’t allowed. We’ve added an extra sanitizer class in our plugin to remove some more invalid attributes. Once we’re sure that these work, we’ll contribute these changes “upstream” to the AMP plugin. These changes have fixed the remainder of the issues we had. Another thing Pagefrog takes care of is Facebook Instant Articles. There’s now a plugin from Automattic for that purpose, which we’re working on integrating with Yoast SEO. This integration means you will not need Pagefrog for Facebook Instant Articles either. Initially, we added Analytics tracking to AMP Glue as well. However, the official AMP plugin by Automattic now features Analytics tracking out of the box. You can also add your JSON configuration to specify what you want to track. Make sure that the values in the configuration string and the vendor type used are coherent with the analytics requirements of the site. On GitHub, you’ll find more about AMP analytics within this AMP plugin. Or learn what you can do with amp-analytics on the example project on the AMP by Example page. With all these changes, getting AMP to work on a WordPress site running Yoast SEO has become slightly easier and lots less error prone. We’ve updated our Setting up WordPress for AMP post with these changes. Good luck and do let us know of errors in the comments! Downloaded the newest version of the AMP plugin and Yoast AMP glue. Not a single AMP page is successfully indexing right now. Would appreciate any help you guys can offer. Hi there, I just left a comment and for some reason it was deleted. Just so you know I wasn’t spamming your blog, I just needed help with an issue I’m having. Hey there! Thank you so much for this article (and the previous one). This plugins is indeed awesome, the only thing is that the content from my posts are not coming up for some reason. The issue is: My style.css has some “!important” declarations which are not allowed in AMP code. Is there a way to “filter” these for AMP? or delivering a different style.css just for the AMP version of the posts? Any idea how to get rid of “!important” just for the AMP version of the posts? Great work, thanks much for this plugin, it is a relief! Only one question: I test it in a site with multi-language support enabling only the pages (this site do not use post yet) but I’m getting 404 for my /amp/ pages. Does it have to do with the multi-language support? I have an art blog. AMP is completely stripping out my wordpress image galleries. (Although it doesn’t strip out youtube videos.) Is there a fix for this? Correction: it replaces them with a slide show. Nevermind! I’m still getting a lot of errors in webmaster tools, but I’m sure this will get ironed out. Thank’s for adding this functionality, Yoast! I have some issues, can you help me to understand where I’m going wrong? PageFrog does Instant Articles too, Should we expect your plugin puting that option in list soon? Also Analytics option added for AMP is good, but my blog only runs on google ads, PageFrog gave the option to add those. Is there any alternative for that? Thanks so much for the articles, my AMP is taking shape nicely! Question: on AMP pages my social sharing buttons do not show up. That is a big part of my site. Any tips on how to get them to show? First of all, you guys are awesome – thanks for all of your work on this! It is all very confusing, and I appreciate your work to make things easier. Second ~ Is Google actually serving up AMP pages already in mobile searches? My understanding is that it is not, and that it will probably be quite awhile before they do? I can see that Joost’s Facebook profile pic is used right under the H1, which is great. Does anybody know how to add this line to the section? Also, it seems my favicon doesn’t show on AMP, whereas Yoast favicon does show… any suggestion? Never mind. Video seems to be workung just fine. My mistake. Thanks for this great plugin and tutorial. /amp/ pages are displaying just fine and analytics tracking seems to be in place. However, I’m wondering how to make a YouTube video appear on the /amp/ page. Can anyone show me the trick? 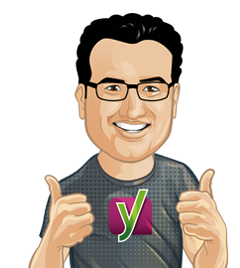 Thanks so much for your ongoing work here, Joost and Team Yoast. Very much appreciated! I’m a bit confused, is amp applicable to pages or just posts and articles? AMP plugin clearly states it is not supporting pages or articles. 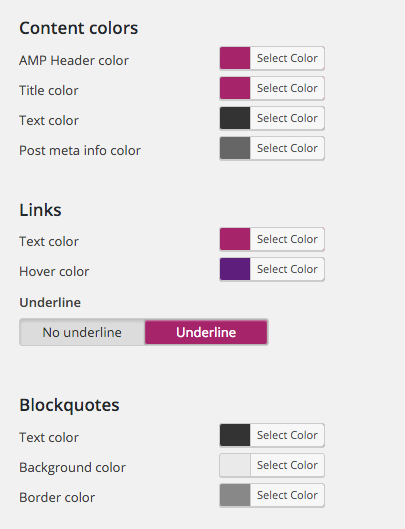 Yoast glue plugin gives you the option to choose any page types? I am getting 404 on my /amp pages. Hope to get clarification soon. I understand it is early stages and as someone mentioned, Google might even can the project after a while. Hi Yoast team, thanks for the update. I’m getting a 404 on the amp ulr’s linked to pages, posts work fine. I managed to resolve the 404 on post amp url by re-saving my permalink settings – but cant seem to find similar for pages. Once I got mine fixed all indexed :) great new space cant wait to see what comes form this. I really liked the idea of PageFrog but sadly it caused all of our pages to get Google AMP deindexed since it would redirect new articles, but older articles would just go back to the original link. Since Google takes 4-7 days to show any changes on GWT for AMP you have to play the wait and see game. 4 days after installing PageFrog our AMP index dropped so we deactivated it. After waiting another 4 days, our indexed pages are back up and working great. It’s a great idea of what they’re trying, but as with anything, the less plugins you have to use on any site the better. 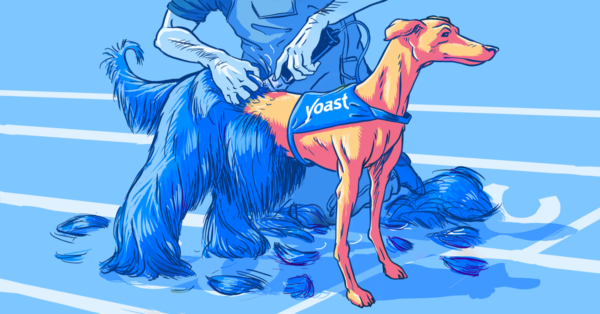 I’m so glad Yoast is tackling AMP headon as Google has not made it easy for us…even though they have let us know that we’d better have it. We actually hired a developer as I knew this would be a headache but something important so we could have Adsense put in without using the PageFrog plugin, and if you look on the AMP site, they show you how to put your Adcode in. It doesn’t look that hard, but we had a developer do it and he makes everything look simple. The biggest lesson learned from this Google change is patience as I’ve seen many people making changes every day not realizing that on GWT the changes take days to reflect. A pain for all of us lacking patience, but worth learning a little bit of it. You guys are awesome! :) Thank you so much for the guide. I haven’t tried AMP plugin yet but will have a look at this over the weekend. Do you recommend using any other plugin apart from AMP? I just bumped into this when I searched “AMP” in WP’s plugin directory. https://wordpress.org/plugins/accelerated-mobile-pages/ Description says that just activate and configuration is not required. Any idea about this plugin? The plugins with the most authority are made by Automattic (The creator of WordPress itself) and Pagefrog. This is the Automattic plugin https://wordpress.org/plugins/amp/ that’s discussed on this page and works in conjuction with Yoast’s Glue plugin. I have a questions about next steps, if any? I may be missing something. Your post made it simple to understand and i added both plugins, AMP and Glue. I do see my blogs in the AMP format when I manually add /amp/ to the end of the URL on my phone. My questions is, why does it not default to /amp/ automatically when viewing on my phone? i do not have coding experience, but i am reading other posts (https://goo.gl/FjwmHR) that talks about adding code to AMP and non AMP posts. I am confused, do i need to do additional steps on WordPress when publishing a post to identify AMP and non AMP? Camilo it doesn’t automatically go to /amp/ on your mobile device because the AMP pages are only meant to display in Google search results. Your AMP pages will be denoted by a lightening bolt in the search results and clicking on the link will take a visitor to the AMP page. Glad to see you guys looking at the indexing and checking for errors. I hadn’t even thought about that piece of it yet. I started with the Automattic app, but starting to consider Pagefrog. This gives me some good next steps. Thank you for these articles, they are very helpful in understanding what Google is up to now. Does anyone have experience working with AMP and Woocommerce? Especially the image lightbox and any plugins that add additional functionality to the shopping cart. Thanks so much for guiding us through this AMP Journey! You’re a leader and it shows!! One question for you: in the new AMP section of your SEO plugin, could the textbox field be used to pass an GA event? I want to set a timeout that trigger an event after 60 seconds (like i do in the Analytics plugin over the personalized code field). If it is possible, what would be the code to use? Does anyone else use Yoast + All in One Rich Snippets (for schema markup)? Maybe I’ve missed something all these years, but Yoast doesn’t use enough schema tags, so we use both plugins. All in One throws errors in Google Search Console and no one in the Automattic AMP plugin forum has been able to address my problem yet. Schema: image [ImageObject]: Always return the default image any way to change it for use featured image as in <meta property="og:image"
Plugin work very well. Great job as always! I installed GLUE and disabled PageFrog. Now I am seeing both the logo and the site name in the header. Very weird, any ideas? it looks like that /amp URLs are not working anymore now. I tried disabling Glue and Pagefrog, but I still get 404 not found. ?amp=1 URL seems to be working. I am unable to find the root cause of this, I tried disabling Glue and Pagefrog but still nothing. I also re-saved permalink settings on WordPress, with no effects. Is anyone having the same problems? I read something like that in PageFrog support page on WordPress.org but I am puzzled because these url still do not work after disabling that plugin, so I am trying to ask here to see if I am the only one and if anyone can come up with a suggestion to have them working again. Also, I will have to keep using PageFrog for now for better styling and, more importantly, for AdSense integration (luckily the preview is not crashing on my browser). Thanks for this. Can you add your site’s Google Analytics code? or do you need to create a new property specifically for AMP? If you have Google Analytics installed by YOAST then AMP (plugin by yoast) will inherit your GA id off of this. You don’t necessarily need to create a different GA account for AMP. Thanks for sharing this great and useful information! I set up 2 of my WordPress installs with AMP in less than 2 hours thanks to your walkthrough! One suggestion I do have for your guide/walkthrough is to add how a user can validate his/her install of AMP. I didn’t see that! Thanks for pointing that out. Your awesome! I was doing some of this with the functions.php but this will make it much easier. I had the same issues with Pagefrog I had already disabled it. Finally amp is working on my site. But Yoast, can you integrate a option for ads? I think it’s very important for a lot of administrators. There’s certainly a section of people who want ads to show, but it’s not my main focus, sorry. Does it works with Google AdSense like PageFrog? 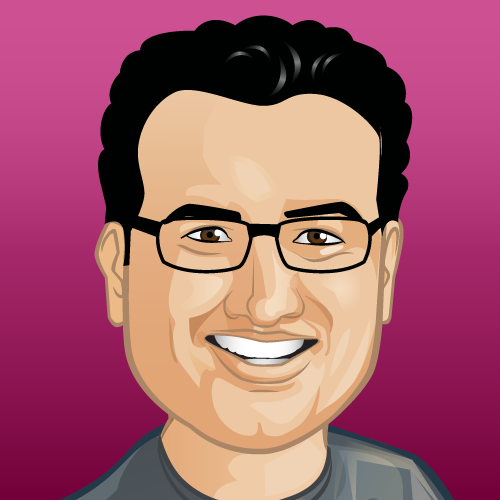 Great work Yoast Team. I really appreciate your effort. Sorry broken link here you can see I fixed. Neither URLs seem to work? Awesome update. Really love your efforts man!! Oh, I think I love you guys! My only question (not that you want to hear this) is will you be working with Automattic on the FB IA plugin to do the same thing that’s been done with the AMP? April isn’t that far away and getting the IA traffic is important, imo. I’d prefer not to run PF for partial use if there’s already going to be a solution that’s integrated with the things we already use. We will definitely make sure Yoast SEO integrates well with the Automattic Instant Articles plugin. Sweet! Beautiful results, the formatting is great and looks good! Do u use Google Doubleclick or Adsense? I have a nice snippet for both…. I’m using Adsense on the site. me too did we wait a future plugin release to inject adsense in amp pages like pagefrog? I see your AMP page is using Merriweather as a base font. Does AMP or PageFrog include Google fonts? The Merriweather selection is the Automattic AMP selection, I believe. Many thanks for the update and the work you guys have done on the Yoast SEO AMP Glue plugin. Looks as though it’s all starting to come together on the AMP front. I thought the crash just happened to me! Great update Joost, congrats to you and your team. One question, the Analytics code: the whole script or only the number? If you want to do it manually, you need to put in the whole script.